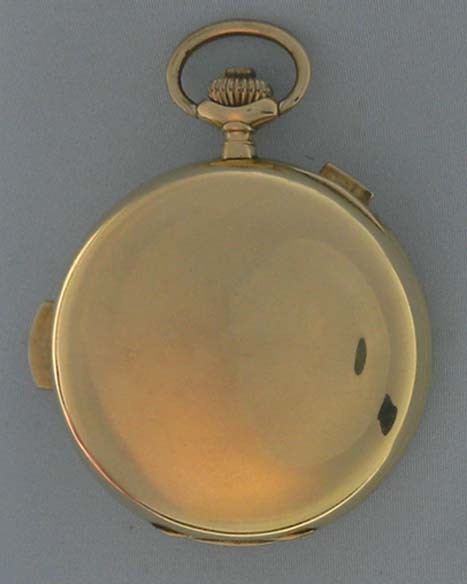 Good Swiss 18K gold minute repeater moonphase calendar chronograph antique pocket watch circa 1890. 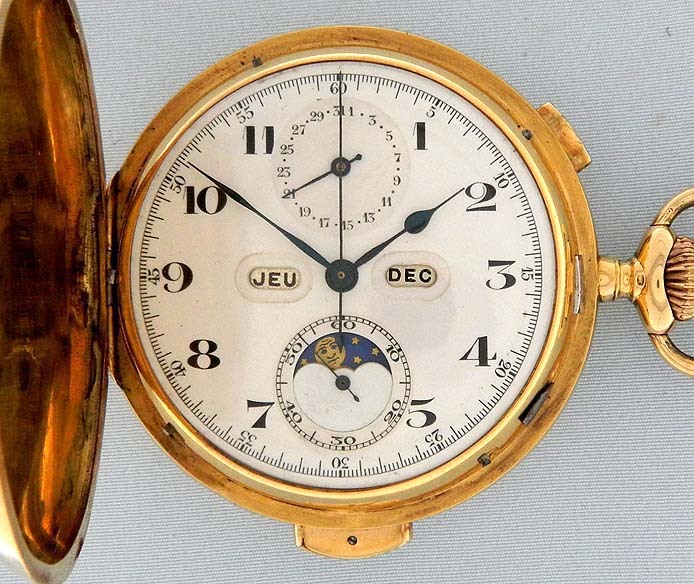 Fine white enamel dial (clean hairline) with black markings, blued steel hands, and indications for day, date, month and phases of the moon. 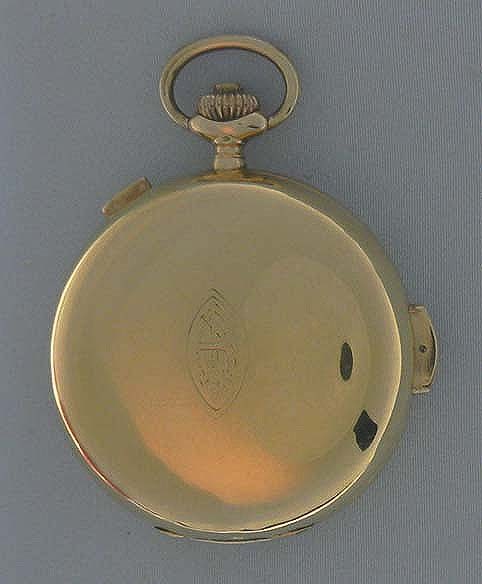 Plain polish case with chronograph and repeat buttons in the band. 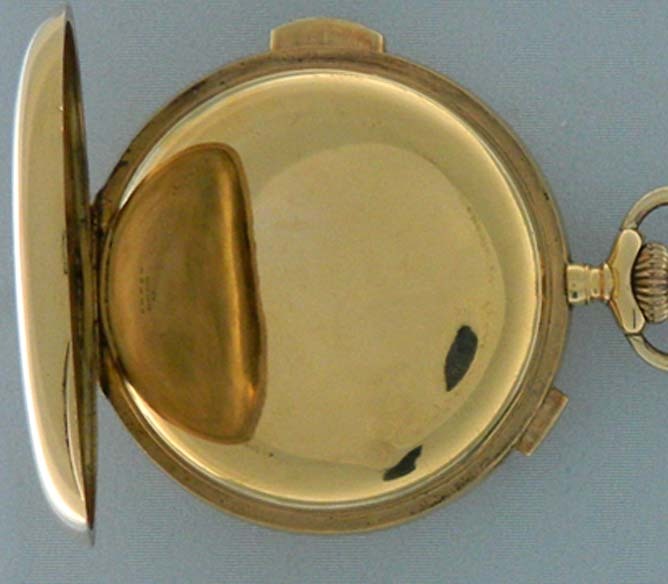 Ding in the dust cover. 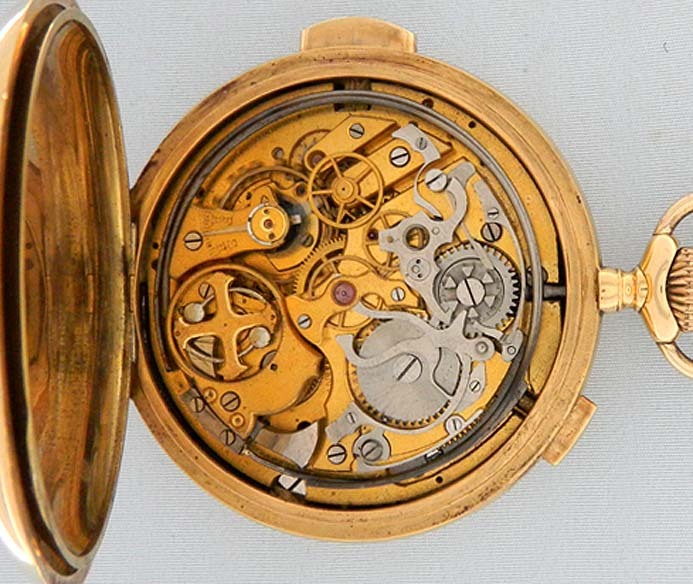 Gilt 18 jewel movement with visible chronograph work.